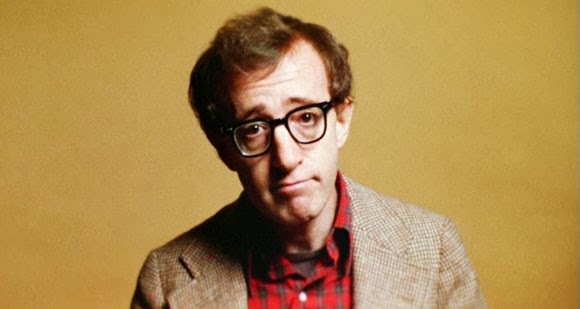 And the second face on the Mount Rushmore of Jewish comedians: Woody Allen. At first glance, Woody Allen looks like the stereotype of the typical Jewish man: nebbish, scrawny, neurotic, and intellectual. On his own account, Allen is far from this in real life. He is an actor playing a part that he happens to be really good at playing. Like many other Jewish entertainers before him, Allen anglicized his name (he was born Allen Konigsberg). However, that did not stop Jewish ideas from influencing his writing. Just look at “Annie Hall,” where the funniest scene is about the differences between a Jewish and a non-Jewish family. “Crimes and Misdemeanors” is about a man dealing with faith-induced guilt after committing a crime. You can change your last name all you want, but that won’t stop you from being influenced by your upbringing. Just like Mel Brooks, Allen has not rendered himself irrelevant, despite duds like “To Rome with Love”. Two years ago, he won an Oscar. This year, he wrote and directed “Blue Jasmine,” which is by far one of his finest features. Allen has gone from standup to TV to film and dominated each medium. He has recently talked about a possible return to standup comedy. I don’t know if this was just talk, but if Mr. Allen decides to return to standup it would make the Jewish community, and the entire world, very happy. Fun Fact: My first exposure to Woody Allen was through the movie “Antz” where he voiced the lead ant. Seriously, it’s an animation classic. Come back to The Reel Deal tomorrow night for Jew #3. This entry was posted in Annie Hall, Blue Jasmine, Comedians, Comedy, Hanukkah, Jews, Mel Brooks, Midnight in Paris, Thanksgivingukkah, Woody Allen on November 28, 2013 by ian0592.